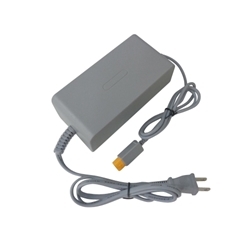 Description: New aftermarket Nintendo Wii U ac adapter charger with power cord. **This adapter does not work with the original Nintendo Wii. It is only compatible with the Wii U. Please check the pictures and part numbers carefully to be sure that you are ordering the correct adapter for your console.